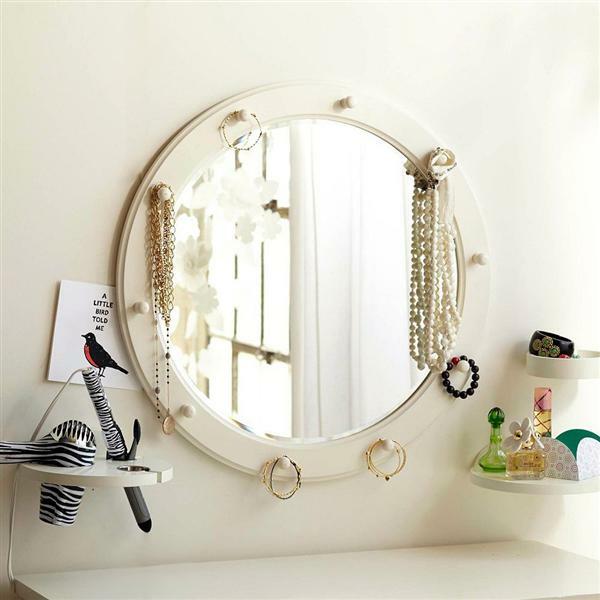 I want to turn my hodgepodge dressing room into my little clutter-free heaven this season (atm there are pillows & cushions on the floor, and shoes everywhere!) & I got some nice ideas while googling. I have a very small space to work with, so I can't afford to get/buy anything useless. The main theme will be white, I think, coz I already have a huge white closet so I'll have to work around it. I'm not saying I want all of the stuff in the pics below, they're just for inspiration. Hope you'll pick out some useful ideas for yourselves too! 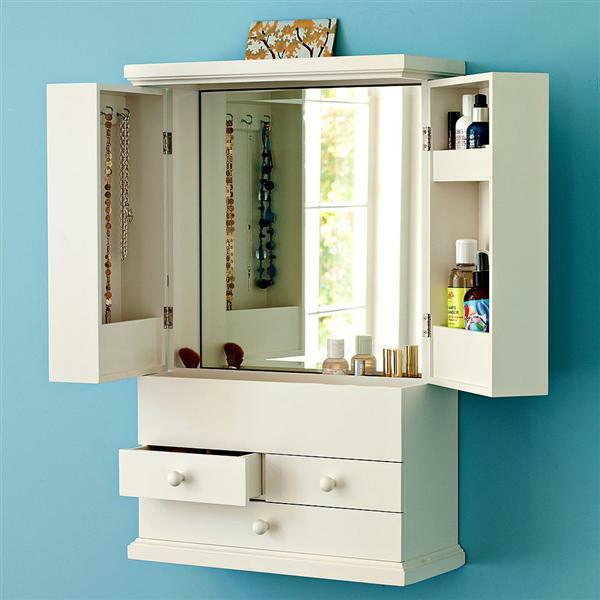 A space-saver this one. LOVE! 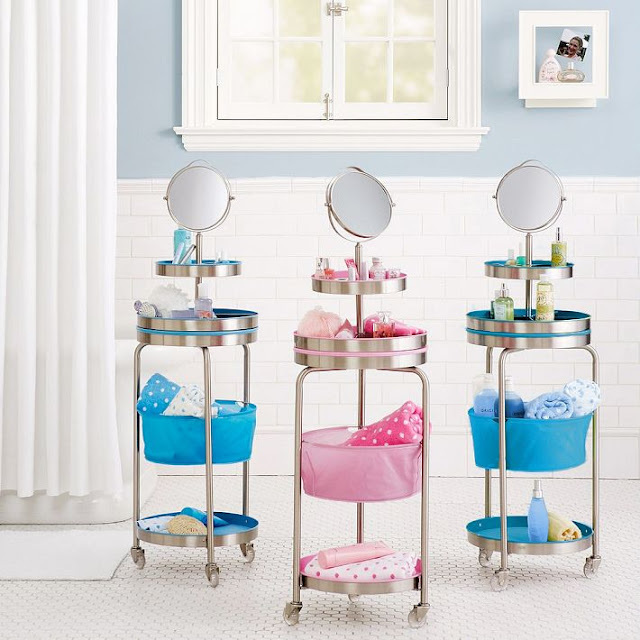 These look kinda pointless, but cute for the bathroom esp if you don't want to keep so many products around the tub, like I do. Miley Cyrus' Closet ~ The ladder-like shoe racks are brilliant. Copy-able idea that won't cost too much, don't you think? 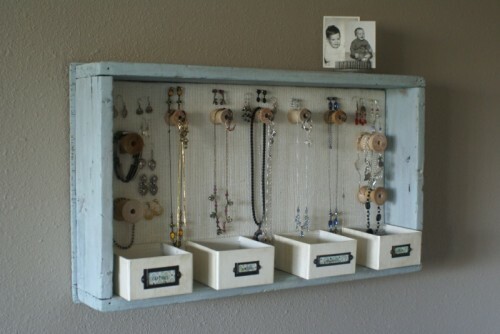 If the planks are wider, you can even display your handbags. I love this plush chaise longue with drawers & look at that spacious cupboard! Anything you liked A LOT out of these fantastic ideas? 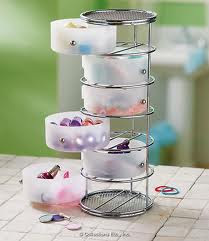 I love the cake stand idea- looking for a pretty cake stand to do this myself! Wow.. All the Best Cynthia and I loved the nail polish holders so much. I love the cupboard in the second picture!! The mirror and the frame like space in the 4h pic are definitely doable. I'm sure you can get a carpenter to do it. 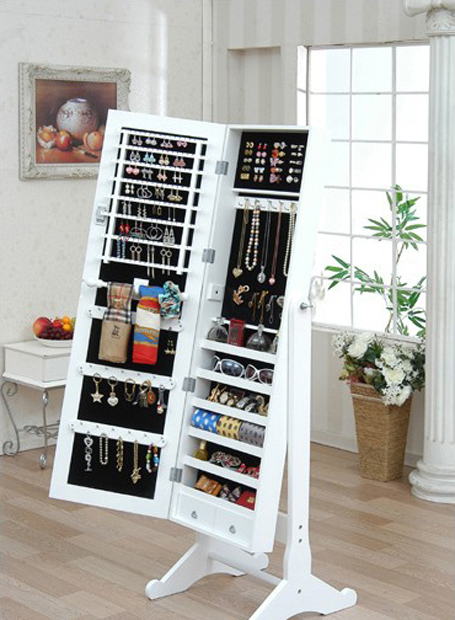 omg, i would looooove to have a closet like this! this is ridiculously incredible. i love that whole accessories display thing. it's so cool! can't wait to see the photos. I love this post, and your blog! Followed, please do check back my blog! all fab ideas!! wish u luck for the project!